The town of fewer than 2,000 swells to 22,000 in peak tourist season, but will the tourists stop coming now in the wake of the whale-watching tragedy? How will the accident, which claimed the lives of 6 foreign nationals, affect town's most important industry? As Tofino struggles in the aftermath of the whale-watching boat tragedy, many are wondering how the accident, which received world-wide attention, will affect the town's most important industry — tourism. Tofino's resident population is under 2,000, but it can swell to 22,000 during peak tourist season. 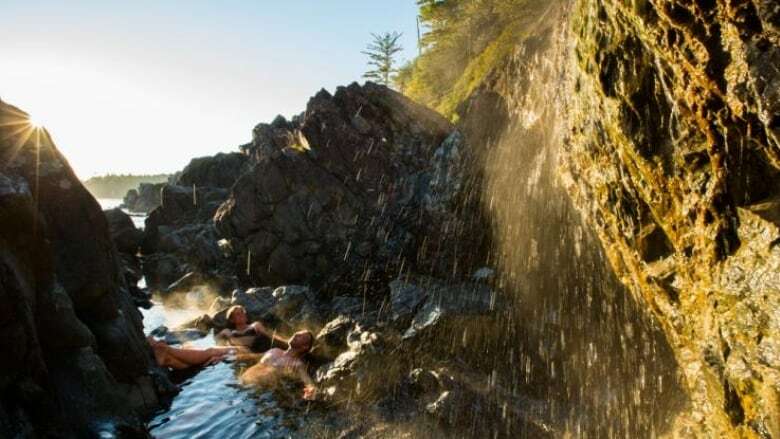 A quick internet search displays ten different local companies offering whale-watching tours, not to mention other marine excursions including one to the popular Hot Springs Cove in Maquinna Provincial Park, a one hour boat ride away. All companies suspended tours in the days following the capsizing of the Leviathan II, but many are slowly restarting operations. Mayor Josie Osborne says the town needs time to heal, but she has no doubt Tofino will bounce back. "What we are showing the world right now is what an incredibly tight knit community we are," said Osborne. "A community underneath the tourism and the visitation that we get. And that is part of what brings people to Tofino." Maple Ridge's Darren and Sue Ashe booked their Tofino honeymoon long before the accident took place. They were at the city dock to take in the views, but, as tourists themselves, couldn't help but be drawn to the growing memorial for the victims of the accident. "We were just saying, you came here for a vacation to this beautiful spot and you lost your life." said Sue Ashe. The flags at the Tofino visitors centre are flying at half staff and a note on the door says the office will be closed until further notice. An RCMP dive team was back in the waters near the accident site Wednesday morning, searching for the body of an Australian man who remains missing.